Winter has finally faded away and spring colors are in bloom. While it might look restorative outside your home, the interior may still be dealing with a gloomy, cold weather hangover. A good spring cleaning is an opportunity to refresh your home and enable you to enjoy all the benefits of Indiana’s seasonal change. Breathing – Seems like a simple issue considering it’s a necessity of life. But when your home is closed off and insulated during the winter months, dust settles, air becomes stagnant, and your respiratory health suffers. 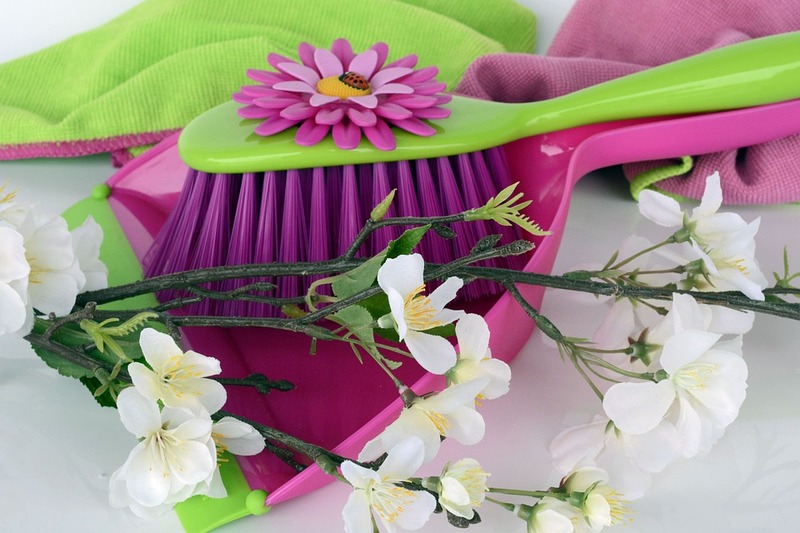 A solid spring cleaning improves the air quality of your home and makes you feel better. With a clean house, your mood will improve and you’ll be open to welcoming visitors. Less Mess – Clutter wears you down. When you have stuff taking up space and gathering dust in your home without purpose, it can impact your emotional health as well as your physical well-being. We’re not saying it’s time to purge, but a comprehensive spring cleaning can help lift the veil from the winter doldrums. You’ll find you can concentrate better and feel less stressed. As the saying goes, less is more. Trouble Spots – When items in your house or apartment remain in the same place for long periods of time, pockets of dirt and dust build up – so much so that you often won’t even notice the pattern. A thorough spring cleaning digs out all the collected muck and helps you see your home in a new light. Maybe the layout of your family room suddenly seems inefficient and uncomfortable? A spring cleaning can open up new possibilities for your home. Is your home ready to be refreshed and rejuvenated? Contact Accent Maid Service today to schedule your spring cleaning. Accent Maid Service is a locally owned and operated company that has been providing professional, trusted house and apartment cleaning services in Central Indiana for over 35 years, including Carmel, Zionsville, Westfield, Fishers, Noblesville, Whitestown, Lawrence, Indianapolis (Meridian Hills, Broad Ripple, Nora, Downtown, etc. ), and anywhere in between.